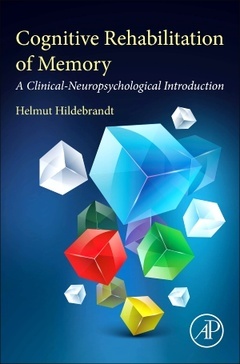 Dr. Helmut Hildebrandt is currently a clinical neuropsychologist at the department of Neurology at the Hospital Bremen-Ost. The main topics of his clinical work is rehabilitation of patients with severe cognitive disorders at the early neurological rehabilitation unit and the assessment of patients with neurodegenerative diseases. He also teaches courses on clinical neuropsychology and rehabilitation at the University of Oldenburg and conducts clinical studies with different rehabilitation units in Oldenburg, Wilhemshaven, Osnabrück and Bonn. Most of the rehabilitation studies he is involved in concerns the rehabilitation of memory and neglect. He has been a member of the scientific advisory board of the German neuropsychological society (GNP). During the last 10 years he was and is still involved in the development and actualization of most of the German guidelines concerning neuropsychological assessment and rehabilitation.